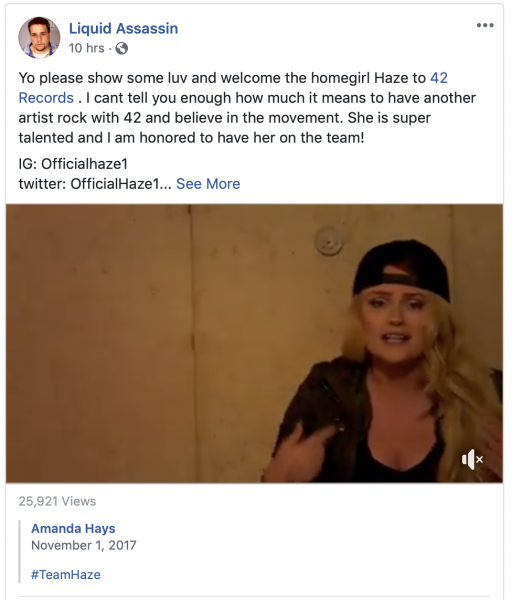 Liquid Assassin has just announced via his Facebook page the latest artist to sign with his label 42 Records. The newest addition to the team comes in the form of underground female artist HaZe. If you haven’t heard her work before, I can tell you she is extremely talented. Check out the post below and the link for my interview with her a few years back.